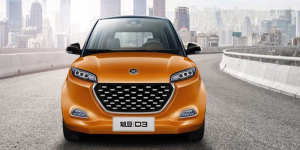 The Geely subsidiary EV producer Zhi Dou is planning to establish a production base in Europe. They are closely looking at Slovakia and Romania, but the final decision will only fall in Fall. The company is looking to spend somewhere around 400 million euro in the new factory, which they hope will produe up to 5,000 vehicles per month as of 2020. Supposedly the eastern Slovak region of Kosice is in the closer selection. So far, the company maintains four factories in China, as well as an assembly plant in Norway. Another plant is being constructed in South Korea. Zhi Dou managed to steal fourth place in the 2017 ranking of the most successful EV producers in China. Behind BYD with 113,669 sales, BAIC BJEV with 104,520 and SAIC with 44,236 Zhi Dou came a close fourth with 42,484 vehicles sold, as well as 109% growth. Their parent company Geely also owns the brands Volvo, Lotus, LEVC and Lynk & Co, as well as recently purchasing 9.69% in Daimler.